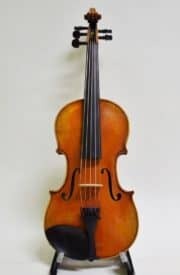 Heffler Violin Made in Germany is crafted with European tonewoods. The wood is finished with an oil-varnish to accent the grain of the spruce. 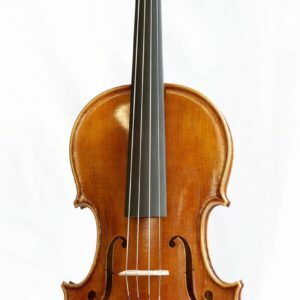 The fittings are all ebony, from the fingerboard, nut, saddle, to the end button. 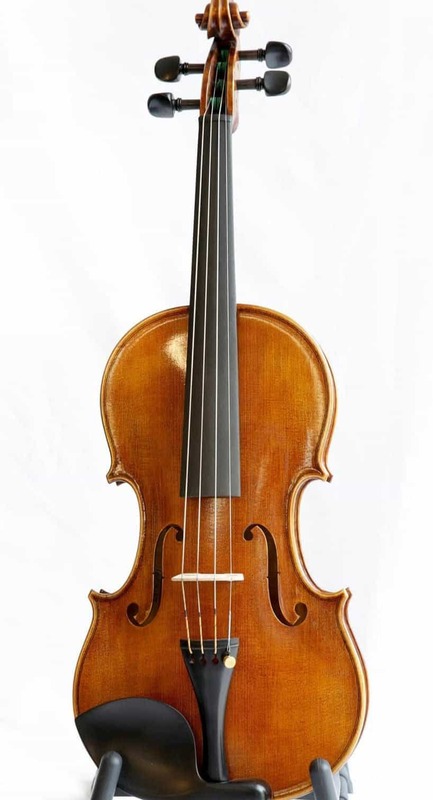 This also includes the Parisian eye pegs, Guarneri style chinrest, and tulip style tailpiece. 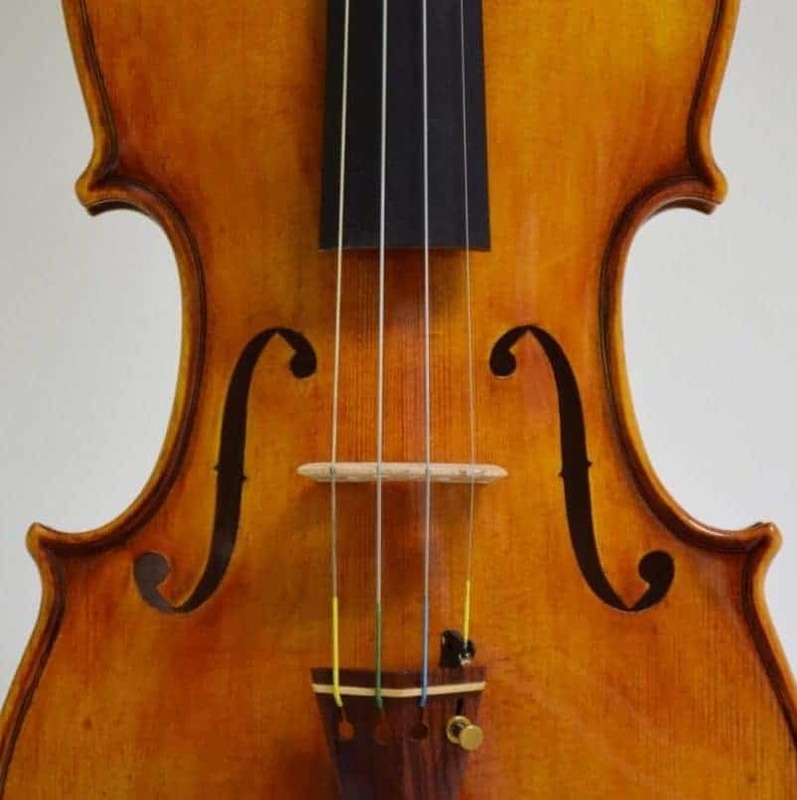 The Heffler violin is strung with Evah Pirazzi strings with a loop end E.
Each instrument is hand-varnished so there is a natural, organic variety to the color, ranging from warm amber to golden brown and golden yellow. 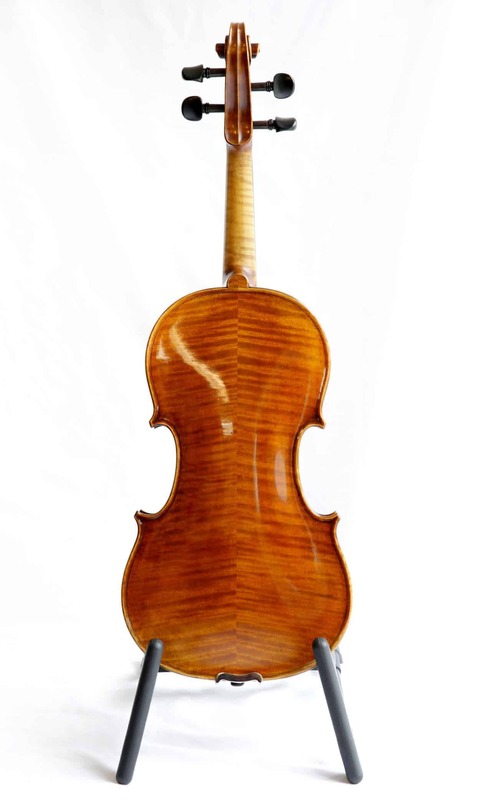 Heffler’s oil varnish shows off a gorgeous depth of color complexity with subtle shading, polished to a medium-high luster and highlighting some raised grain in the spruce, and the remarkably figured maple. 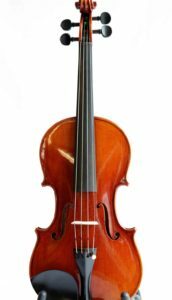 Whether for a serious student, amateur, or professional player, these instruments deliver something special! Check us out on social media on our Facebook, Pinterest, or Instagram pages!